at a fraction of the price a lawyer would charge. This Apartment Lease Agreement is designed for use in India. This form is available for immediate download. This Automobile/Vehicle Bill of Sale and Odometer Disclosure Statement is designed for use in India. This form is available for immediate download. This Contract for Deed is for use by a property seller who will finance a purchase and retain title in the property until all payment provisions are met. This type of contract is useful in situations where a buyer cannot obtain traditional financing. This Contract for Deed is for use in India. This General Affidavit is designed for use in India. This form is available for immediate download. 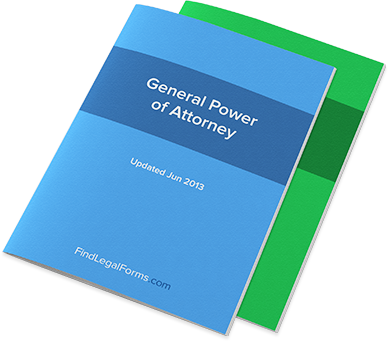 This General Power of Attorney is designed for use in India. This legal form is available for immediate download. This Instalment Promissory Note with Final Balloon Payment is designed for use in India. This form is available for immediate download. Loan Agreement with Security and Guarantor for use in India. This Postnuptial Agreement Kit is designed for use in India. This legal form is available for immediate download. This Prenuptial Agreement is designed for use in India. This legal form is available for immediate download. Simple Will for use in India. This Name Affidavit is designed for use in India. This form is available for immediate download. This Bird Bill of Sale is designed for use in India. This form is available for immediate download. This Boat/Vessel Bill of Sale is designed for use in India. This form is available for immediate download. This Cat Bill of Sale is created for use in India. This legal form is available for immediate download. This Dog Bill of Sale is created for use in India. This form is available for immediate download. This Exotic Animal Bill of Sale is designed for use in India. This form is available for immediate download. This Horse Bill of Sale is created for use in India. This form is available for immediate download. This Mobile Home Bill of Sale is designed for use in India. This form is ready for immediate download. This Motorcycle "As Is" Bill of Sale and Odometer Disclosure Statement is designed for use in India. This form is available for immediate download. This Motorcycle Bill of Sale and Odometer Disclosure Statement is designed for use in India. This form is available for immediate download. Notice of Past Due Payment for use in India. This form contains two notices: The first can be used as a gentle reminder and the second is more adversarial in tone. This Promissory Note - Instalment is designed for use in India. This form is available for immediate download. This Promissory Term Note is designed for use in India. This form is available for immediate download. This Secured Instalment Promissory Note and Security Agreement designed for use in India. This form is available for immediate download. This Security Agreement is designed for use in India. This legal form is available for immediate download. This Secured On-Demand Promissory Note and Security Agreement is designed for use in India. This form is available for immediate download. This Secured Promissory Note and Security Agreement is designed for use in India. This form is available for immediate download. This Secured Term Promissory Note and Security Agreement is designed for use in India. This form is available for immediate download. This Parental Permission and Medical Consent form is designed for use in India. This legal form is available for immediate download. This Parental Permission and Medical Consent With Liability Release is designed for use in India. This legal form is available for immediate download. Separation Agreement between Husband and Wife for use in India. Model forms used by landlords and tenant to lawfully sublease or obtain a landlord's consent to the assignment of a lease. This Lease Extension Agreement is created for use in India. This legal form is available for immediate download. This Month to Month Lease Agreement is designed for use in India. This legal form is available for immediate download. Residential Lease for use in India. Assignment of Residential Lease for use in India. This form is designed for use between old and new tenants and contains an optional landlord consent clause. A Residential Rental Application allows a landlord to obtain information from prospective tenants interested in renting a residential property. This Sublease Agreement is designed for use in India. This legal form is available for immediate download. This Room Lease Agreement -- Unfurnished is designed for use in India. This form is available for immediate download. This Revocation of Power of Attorney is designed for use in India. This form is available for immediate download. Apartment Sale Agreement for use in India. Release and Waiver of Liens form for India. Freehold Property Sale Agreement for use in India. This General Contractor Agreement is designed for use in India. The form will assist you in preparing an agreement with a general contractor for home repairs or improvements. Leasehold Property Sale Agreement for use in India. The Subcontractor Services Agreement can be used for a one-time project or for on-going services in India. Revocation of Will for use in India. This Contract for Deed is useful when a property buyer cannot obtain traditional financing. This contract allows the seller to retain title in the property until the buyer has made all payments under this contract. This Contract for Deed is created for use in India. Commercial Property Lease Agreement for use in India. This Employee Non-Solicitation Agreement is designed for use in India. This form is available for immediate download. This General Agreement is designed for use in India. This legal form is available for immediate download. Non Disclosure Agreement for use in India. This Collection of Payment Letters packet is designed for use in India. These letters are available for immediate download. This Letter from Debtor to Collection Agency is designed for use in India. This form is available for immediate download. This Asset Purchase Agreement is designed for use in India. This legal form is available for immediate download. Distributor Agreement for use in India. This Finder's Fee Agreement is designed for use in India. This legal form is available for immediate download. Incorporated Joint Venture Agreement for use in India. Manufacturing Agreement for use in India. This Marketing Agency Agreement is designed for use in India. This legal form is available for immediate download. This Merchandising and Marketing Agreement is created for use in India and is available for immediate download. This Non-Circumvention Agreement - Business is for use in India. This agreement is often used by a broker or intermediary to a business transaction to ensure that the intermediary is not by-passed in the business relationship for a specific time period. This form is available for immediate download. Sales Representative Agreement for use in all states and territories of India. This Authorisation to Release Confidential Information is designed for use in India. This legal form is available for immediate download. This Confidentiality Agreement to Protect Business Plan is designed for use in India. This form is available for immediate download. This Unilateral Non-Disclosure Agreement is used when one party discloses confidential information or trade secrets to another. The recipient of the information agrees not to disclose confidential information to others unless it conforms to the terms of this agreement. This Unanimous Written Consent for Board of Directors is designed for use in India. This form is available for immediate download. This Notice of Shareholders Meeting is created for use in India. This legal form is available for immediate download. Various shareholder resolutions used in the operation of a corporation. This Stock Purchase Agreement is for use in India. This form is beneficial as it clearly sets out the terms of the transaction and is available for immediate download. This Waiver of Notice of Meeting of Board of Directors is designed for use in India. This legal form is available for immediate download. This Authorisation to Release Information is designed for use in India. This form is available for immediate download. Employment Agreement for use in India. This Employment Offer Letter is designed for use in India. This form is available for immediate download. This Bookkeeping Services Agreement is designed for use in India. This form is ready for immediate download. This Contract for Services Agreement (also referred to as "Work for Hire Agreement") for a Programmer is designed for use in India. This legal form is available for immediate download. Copyright Infringement Cease and Desist letter designed for use in India. This letter can be used when your copyrighted work has been copied or used without your authorization. Domain Name Licence Agreement for use in India. This Notice of Assignment of Intellectual Property is designed for use in India. This form is available for immediate download. Patent Assignment Agreement for use in all states and territories of India. This Patent Licence Agreement is designed for use in India. A patent owner holds exclusive rights to market his or her invention but is also entitled to transfer those rights to another party. This form will assist in drafting this type of licensing agreement and is available for immediate download. This Software Licence Termination Agreement is designed for use in India. This form is available for immediate download. This Commercial Lease Application is designed for use in India. This form is available for immediate download. Assignment of Commercial Lease for India. This Commercial Lease Extension Agreement is designed for use in India. This form is available for immediate download. This Commercial Lease Termination Agreement is designed for use in India. This legal form is available for immediate download. This Commercial Sublease Agreement is designed for use in India. This form is available for immediate download. Perpetual Lease of Land for use in India. This Salon Station Lease Agreement is designed for use in India. This form is available for immediate download. This Storage Lease Agreement - Month to Month is created for use in India. This legal form is available for immediate download. This Warehouse Lease Agreement is designed for use in India. This legal form is available for immediate download. This Change Order Form is for use in India. This legal form is available for immediate download. This Contractor Proposal Kit is designed for use in India and ready for immediate download. This kit is designed to assist you in preparing a proposal for repair work or home improvements. This Full and Final Release is designed for use in India. This legal form is available for immediate download. Indemnity Agreement for use in all states and territories in India. This Mutual Release is designed for use in India. This legal form is available for immediate download. This Release of Accident Claims is designed for use in India. This form is available for immediate download. This Settlement and Release Agreement (Litigation Ongoing) is designed for use in India and is ready for immediate download. Custom Software Development Agreement for use in India. Assignment of Internet Domain Name for use in India. Website Affiliate Agreement for use in all states and territories of India. This Website Design Agreement is designed for use in India. This form is available for immediate download. This Website Maintenance Agreement is designed for use in India. This legal form is available for immediate download. This Website Sales Agreement is for use in India. Protect your rights by documenting the sale of a website in writing.